Each year, over one million visitors stop at the Ardmore Alabama Welcome Center. 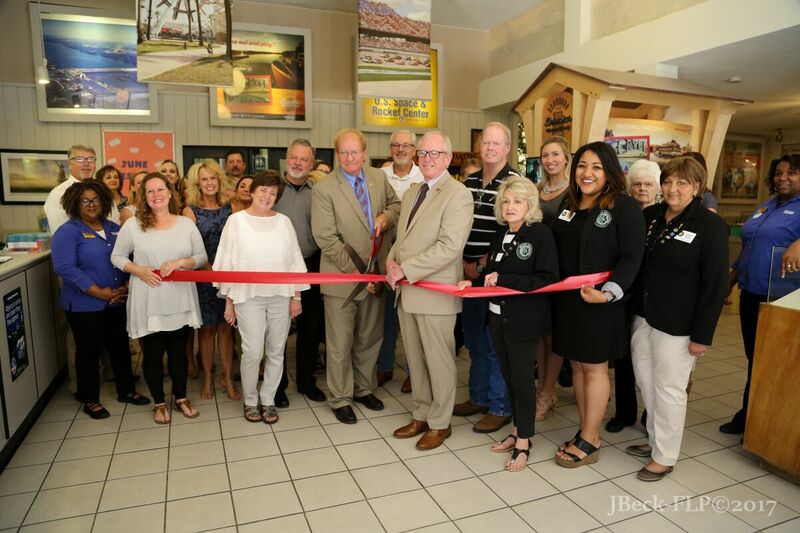 “It is important that the DMCCVB offer an inviting and welcoming presence to prospective guests as they enter into Alabama at this extremely busy welcome center,” said DMCCVB President and CEO Melinda Dunn. Working with Joel McWhorter and the McComm Group, a new design was developed to replace the dated visitor kiosk that had stood in the Ardmore Welcome Center for many years. The new design is rich in images that showcase the unique flavor of Decatur and Morgan County. McWhorter and the McComm group worked with Expo Displays on the kiosk’s fabrication. The new kiosk also features a video panel that continuously plays a video on Morgan County produced by Juergen Beck of Freedom Light Productions and funded through the Alabama Mountain Lakes Tourist Association. The video component is interchangeable and the DMCCVB can provide videos specific to upcoming events in the area. Additionally, a new visitor panel located above a key entry that visually connects to the display invites guests to come and play and further strengthen the presence of Decatur and Morgan County at the Ardmore Welcome Center. The display panel is made possible through funding from Senator Arthur Orr. The production of the new kiosk was funded by the DMCCVB.